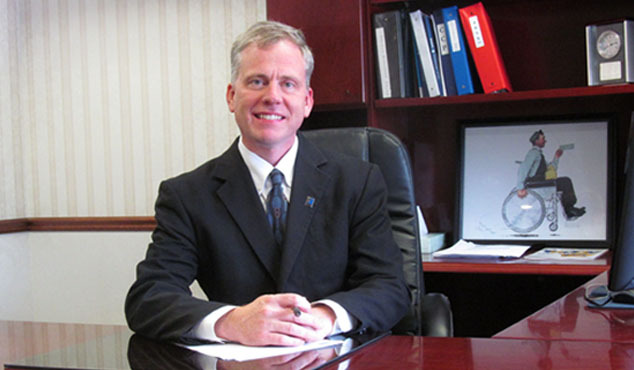 JOHNSTOWN, PA, SEPTEMBER 2, 2015— Goodwill of the Southern Alleghenies.’s Board of Directors announces the appointment of Bradley R. Burger as the agency’s new President & CEO, replacing Phyllis J. Bandstra who retired this month after 20 years with the agency. Burger has held several senior positions with affiliate Goodwills over the past 20 years. His first position was in 1995 as a Clerical Instructor with Goodwill Industries of Pittsburgh. Later that year, he was promoted to the Director of Goodwill Employment Training Center. In 1999, he was promoted to Director of Education, and later that year was promoted to Associate Vice-President for Human Services serving through 2005 when he was promoted to Vice-President for Human Services. In March 2008, he became Pittsburgh Goodwill’s (renamed as Goodwill of Southwestern Pennsylvania in 2009) Vice-President for Retail until September 2009 when he accepted an appointment with Goodwill of Western Missouri and Eastern Kansas (Kansas City) as President & CEO. Under Burger’s executive leadership, the struggling agency touted positive financials in less than three years and added 300 employees. Burger served as Kansas City’s President & CEO through October 2013, and then President & CEO Emeritus through December 2013 when he returned to his roots in Pittsburgh and rejoined Goodwill of Southwestern Pennsylvania as Assistant Vice-President for Retail until this month when he resigned in August to lead Goodwill. Burger holds a Master of Education in adult education from the Pennsylvania State University and a Bachelor of Science degree in biology from California University of Pennsylvania. He has held certifications in career development facilitation, human resources development, and executive leadership. In his diverse career, Burger has provided consultation services to other Goodwill operations including those in Rome, Italy. He has actively served on various accreditation oversight efforts in independent colleges and career schools. He has also been active in his community as a borough councilman.